Founded in South Korea in 1999, with the philosophy of providing a happy and positive lifestyle, NeNe Chicken very quickly became one of the nation’s favourite fried chicken brands. Since then we have been delighting customers with our delicious freshly cooked fried chicken via more than 1000 stores in the country. The word “Ne” in Korean means “Yes”. Hence, “Nene Chicken” means “Yes Yes Chicken”. This expression is often used by Koreans to reflect their willingness to put the best effort in any kind of situation with a positive mind. Keeping such a philosophy in mind, Nene Chicken put our heart into serving food that provides happiness to our customers. 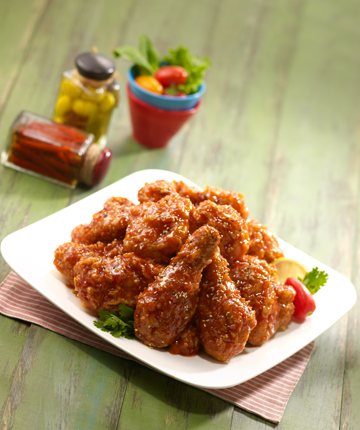 The ever popular Korean fried chicken is usually fried to golden brown and coated with a variety of sauces. At Nene Chicken, our secret is through our batter-dip process where oil does not seep into the chicken meat, hence keeping the meat juicy and the batter crispy. Nene Chicken landed in Singapore in 2012 and since then we have made many people smile with our food, our energy and our service. Nene Chicken Singapore is a proud supporter of Food bank and we strive to continue giving back to the society and spreading positivity to serve our community. Copyright © 2019 Royal T Group Pte Ltd.